In a push to turn insight and understanding into implementable actions, more organisations are turning to operationalising their analytics needs through bespoke tools. For over 20 years, Datamine’s team of product managers, user experience developers, AI experts and data scientists have been creating tailored analytical applications for clients across a range of industries. WHAT CAN AN ANALYTICAL APPLICATION HELP WITH? Most businesses require methods, tools and applications to help keep track of orders, log data, forecast sales and more – and in many cases all of these tools and databases are contained in siloed, one-man-band spreadsheets that absorb information but don’t offer an insightful output. This might work when a business is small, but such a system doesn’t easily scale or integrate with other systems as the organisation grows. And in many cases, it also doesn’t offer the business the full set of unique deliverables that it’s after. Datamine has helped organisations address this issue by creating bespoke software applications with a core analytical component, such as an intuitive web platform, demand forecasting, AI applications and other optimised models. These solutions take in data, perform complex calculations or apply statistical techniques, then present key business outputs in an easily accessible, intuitive interface – one that can be easily integrated with both existing and future systems. 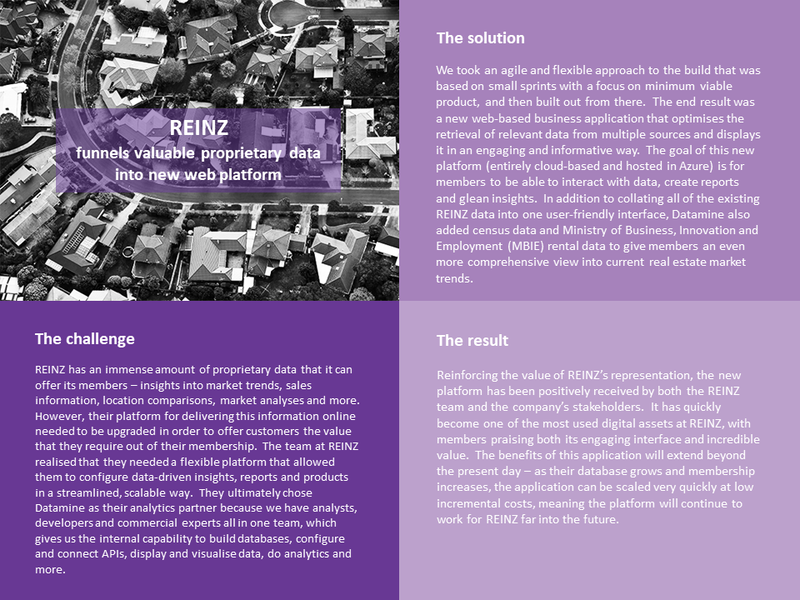 For example, we built a bespoke application for a media client that enabled them to quickly compare the relative success of different marketing scenarios, information which they then used in their sales collateral. 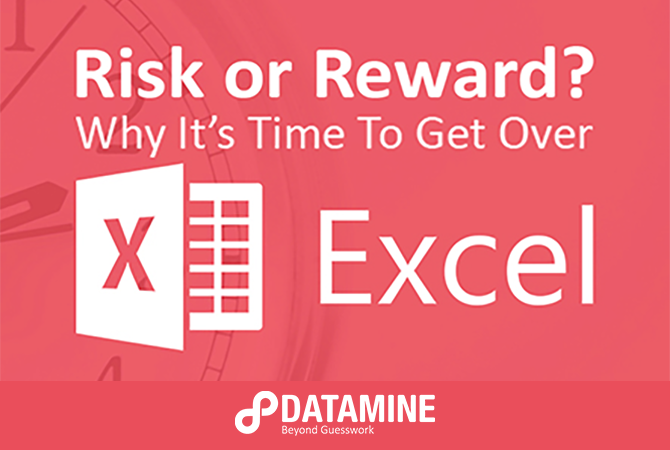 Where previously the team would rely on one or two experts to delve into Excel for the analysis, the Datamine tool now removes the middleman — allowing users to quickly tweak a few inputs to create results for themselves. A solution at another organisation saved the company over 45,000 people hours per year – adding over $1M to the bottom line annually. Scroll down to read a case study discussing an intuitive web platform we created for the Real Estate Institute. Interested in learning more about how Datamine could help you create a bespoke analytical application? Fill out the form below to schedule a call with us.